Children and Youth Planning Table Working Groups are sub-committees of the Children and Youth Planning Table. These Working Groups are taking action on particular projects or focus areas identified by the Children and Youth Planning Table as we work collaboratively to move the needle on child and youth wellbeing. Currently there is one active Working Group – the Collective Impact Recommendation Working Group. Past Working Groups include the Shared Foundation for Practice Working Group and the Virtual Access Team. The Virtual Access Team has brought together representatives from the Children and Youth Planning Table, the Special Needs Strategy and Moving on Mental Health Strategy. 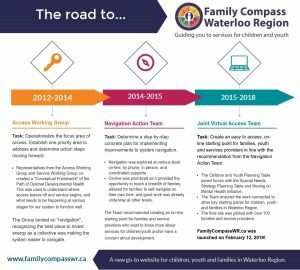 This group has developed one go-to starting point for all children and youth services in Waterloo Region- Family Compass. 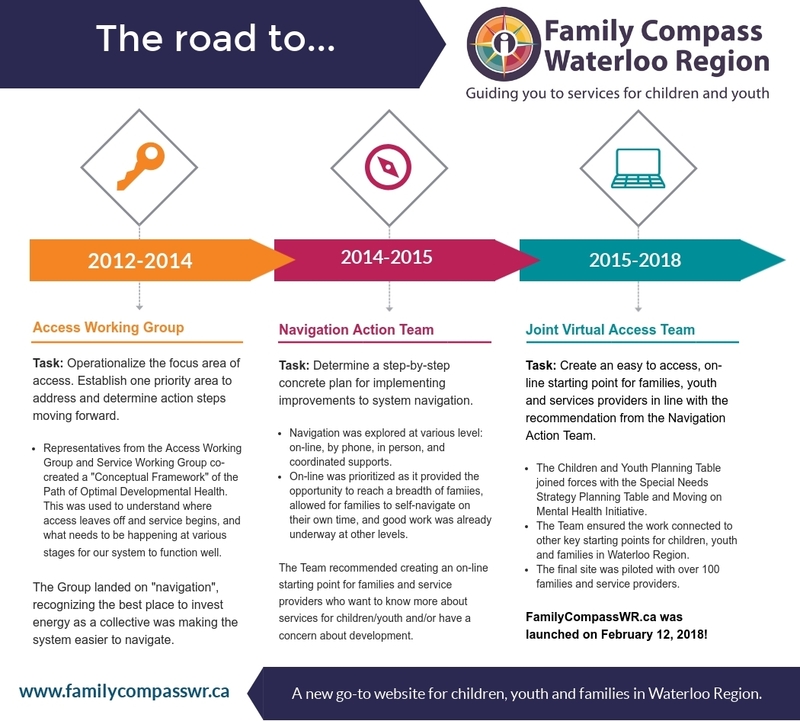 Family Compass is a resource for parents, youth, service providers and the community when looking for services that are beneficial to all children and youth, as well as when looking for help when there is a concern with a child/youth’s development.